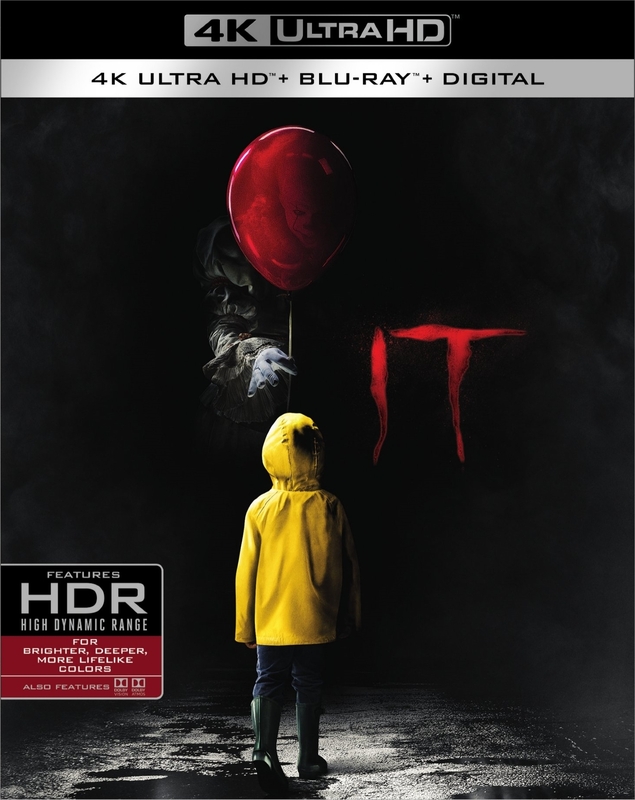 The 4K Blu-ray release of It will feature Dolby Vision HDR that dramatically expands the color palette and contrast range, and uses dynamic metadata to automatically optimize the picture for every screen — frame by frame. Also, the 4K Blu-ray and Blu-ray discs of It will feature a Dolby Atmos soundtrack remixed specifically for the home theater environment to place and move audio anywhere in the room, including overhead. To experience Dolby Atmos at home, a Dolby Atmos enabled AV receiver and additional speakers are required, or a Dolby Atmos enabled sound bar.Dolby Atmos soundtracks are also fully backward compatible with traditional audio configurations and legacy home entertainment equipment.